Enjoy this is a guest post from Jordan Reasoner and SCDLifestyle. Yes, gluten causes Celiac Disease and it must be eliminated to treat Celiac Disease… in fact, research suggests that even an acute gluten exposure triggers a 70% increase in intestinal permeability (leaky gut) and a spikes inflammation for as much as 6-months. Mainstream literature on Celiac Disease tells us that eating gluten-free is a healthy lifestyle choice and Doctor’s regularly explain it as the only way to treat newly diagnosed Celiac Disease patients. But the treatment plan is dripping in the same conventional wisdom that created the current Standard American Diet (SAD). In “How Gluten Causes Celiac Disease” I explained that the main reason we don’t eat wheat and other gluten-containing grains is that they contain a protein called gliadin, which is a prolamine that increases zonulin production, causing leaky gut and inflammation. If prolamines are weapons of mass destruction, then plant lectins are the plants special forces executing individual suicide missions against your gut lining. These toxic sugar-binding proteins don’t get digested either, and they bind to the cells on the gut wall (enterocytes) and prevent them from completing their normal healing processes (causing them to die). Not only that, but research shows they weasel their way past the intestinal wall and cause leaky gut… and trigger our old friend inflammation. But remember earlier when I made the point that a gluten-free diet leaves many Celiacs with inflammation, leaky gut, andnutrient deficiencies? Consumption of industrial seed oils (corn, cottonseed, soybean, safflower, sunflower, etc.) 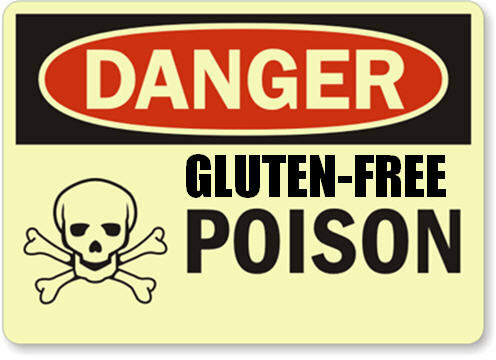 has dramatically increased in the last century and the gluten-free diet is no exception. Many processed food off the shelf contain these seed oils that are high in omega-6 fatty acids. 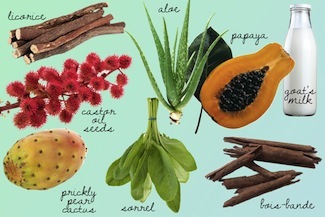 In fact, you might even think that some of these oils are “healthy”. Carbohydrates and Sugars are the primary food for the bacteria in our gut. Bacteria live on sugar, that’s normal. What isn’t normal is the type of bacteria found overgrowing in the gut of a Celiac patient. Normally there’s a balance between good and bad bacteria. When the delicate gut flora balance gets upset, opportunistic or pathogenic bacteria can quickly take over and cause ”Gut Dysbiosis” or small intestinal bacterial overgrowth (SIBO). One reason Celiacs frequently have gut dysbiosis is a result of thedamage to the villi of the small intestine. During the active stages of Celiac Disease, the villi aren’t working properly and carbohydrate malabsportion can occur (meaning there’s suddenly a ton of extra food for the bacteria to feast on). The most common sugar consumed in the standard gluten-free diet is sucrose (or table sugar). Sucrose is made-up of one glucose molecule and one fructose molecule bonded together to create a disaccharide (2 sugar molecules). Sucrose gets broken down by the digestive process into mono-saccharide molecules to be absorbed by the gut. 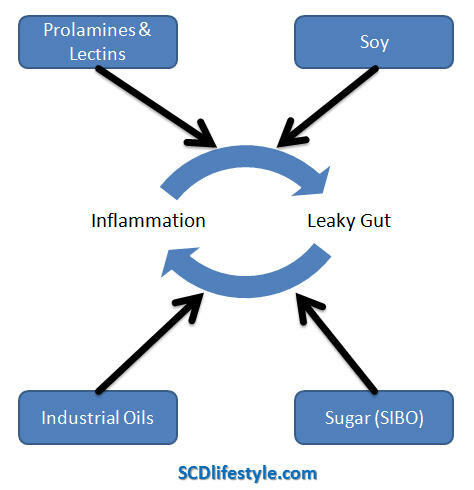 SIBO is overgrowth condition that drives leaky gut syndrome and the gluten-free diet is the fuel to feed the overgrowth. In one study, researchers took small intestinal biopsies from children with Celiac Disease to understand the role bacteria played in the disease. Their results were frightening: they not only found SIBO, but they discovered these children had 42 different rod-shaped bacteria, 30 of which had never been found in the human small intestine before… 18 of which were completely unknown! Newer PostKasia Memorial Day Weekend Must Haves! Older PostA HEATED week of HOT in hair inspirations!